NB Data offers a range of telecoms products designed to improve business performance and help you to communicate with ease. Our products are carefully chosen for their build quality, reliability and innovative features from leading UK, European and International manufacturers whom we have a direct relationship with. We work with manufacturers and suppliers who we know have the same passion for supporting the customer as we do. Through our vast knowledge of the telecoms, IT and electronics industry we have supplied many satisfied customers for over 25 years. As well as supplying the NHS, Police, Councils and Government Agencies we offer all our customers, whatever their size, impartial advice and a huge selection of products from our own purpose-built warehouse. 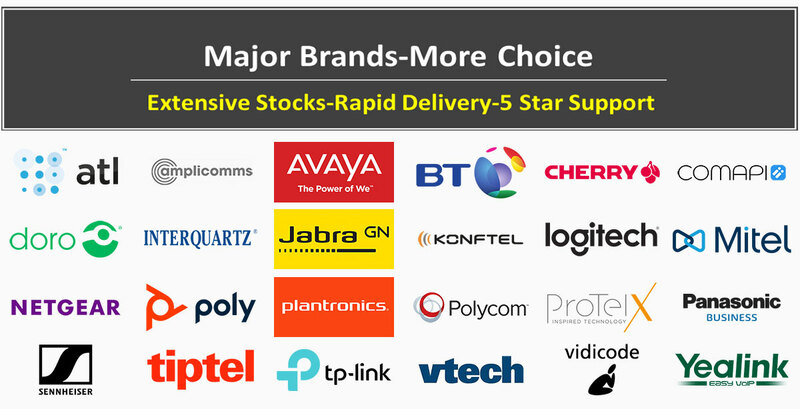 As technology advances with ever increasing speed NB Data’s links with key manufacturers ensures our customers receive the best possible advice and the most competitive price to achieve a rapid return on investment.